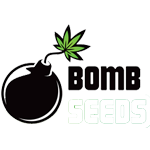 Bomb Seeds - Hash Bomb. Free US delivery. Hash Bomb is an absolute must for hash lovers and medical users alike. A perfect cross of a powerful hash plant from the far-east, a new age Amsterdam Skunk and Bomb #1. The result is a high CBD level plant that is perfect for hash production. Hash Bomb is a medium-high strength strain with a strong, tranquillising effect. It produces a calming, sedative and pain relieving effect rather than a psychoactive high. Hash Bomb's aroma is sweet and with low levels of odour making it an easy to conceal, low profile strain.